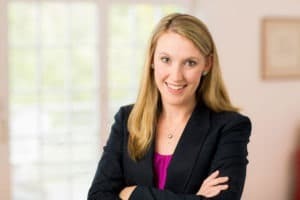 MacElree Harvey is proud to announce that attorney Kristen R. Matthews, an associate in the firm’s Elder Law and Estate Planning practice groups, has recently passed the Certified Elder Law Attorney (CELA) exam, and upon satisfaction of the final test requirement, which is submission of Case Matrix, Kristen will officially become a CELA. Achieving the CELA designation is very difficult and requires an in-depth knowledge of elder law and a dedication to staying current on all of the new changes in the law. The requirements to become a Certified Elder Law Attorney are set forth by the National Elder Law Foundation which is the organization recognized by the American Bar Association as the issuing authority for the CELA certification. The purpose of the CELA certification is to allow those needing advice in the specialized areas of elder law and special needs planning a method to confirm that the attorney he or she is hiring is beyond qualified to handle his or her legal issues. While any attorney can hold themselves out as an “elder law attorney”, only those that fulfilled the requirements set forth by National Elder Law Foundation can use the CELA designation. According to the information on the National Elder Law Foundation website, there are approximately 400 CELA’s in the country which means not every community has even one Certified Elder Law Attorney. Congratulations to Kristen on this accomplishment! Kristen’s law career has been exclusively devoted to helping clients with elder law issues. Knowledgeable about Medicare and Medicaid programs, Kristen helps individuals to apply for and obtain coverage from Medicaid. Kristen also works closely with the elderly in assisting them and their families with all aspects of estate planning, including implementing necessary legal documents, such as a Will, Living Will and Powers of Attorney. In addition to that, Kristen is accredited by the Department of Veterans Affairs to assist veterans with qualifying for the Aid & Attendance Pension, which is a monthly cash payment to wartime veterans and their spouses that can be used to offset today’s high cost medical expenses. To schedule a consultation with Kristen Matthews, please contact our office at 610-840-0272 or [email protected].